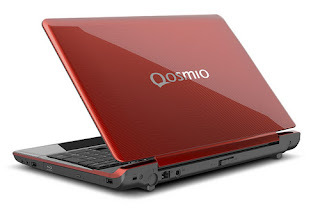 Toshiba's Qosmio notebook has just launched a 3D without needing glasses named Qosmio F755 which is a 15.6-inch notebook which is planned to be marketed in the U.S. on August 16. Price Qosmio F755 is quite high ranging from $ 1,699, but it does have a solid specification of quad 2GHz Core i7 processor, 6GB RAM, 750GB hard drive, and GeForce GT 540M for graphics. 3D Systems uses a system similar to the Nintendo 3DS parallax but adds a unique tracking system to compensate for the larger screen. 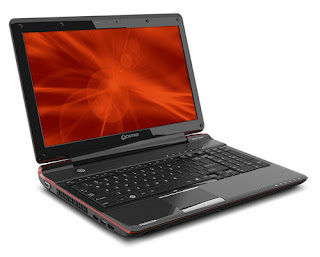 By using a webcam, this laptop will mentrack user's head and adjusts the image to ensure the 3D effect remains at an appropriate point of view. Like most 3D screen, the effect of dropping a line of 1080p native resolution to get the extra dimensions. As a desktop replacement, Qosmio F755 suited for systems equipped with a numeric keypad as well as Harman Kardon speakers are okay. This laptop can output 3D to the TV via HDMI and will come equipped with a Blu-ray to make sure it can play 3D offline.